Car problems happen all the time, and usually when people least expect them. They can really ruin a road trip. Urgent.ly is a 21st century roadside assistance company that brings all that technology has to offer to the table and you only have to pay for the services you request. The company is the only global, digital roadside assistance platform and it operates America’s leading on-demand roadside service. This include jump-starting vehicles, changing tires, automatic locksmiths, towing and fuel delivery. Urgent.ly is reimagining roadside assistance to benefit global automotive, insurance, mapping, telecommunication and parking brands — as well as roadside assistance professionals and consumers — across North America, Europe and Asia-Pacific. “The Urgent.ly platform delivers the quickest, safest and most innovative roadside assistance services and technology through its branded and white label products,” said Rebecca Day, digital marketing specialist for Urgent.ly. Day spoke with RewardExpert about the company’s mission to limit driving woes. 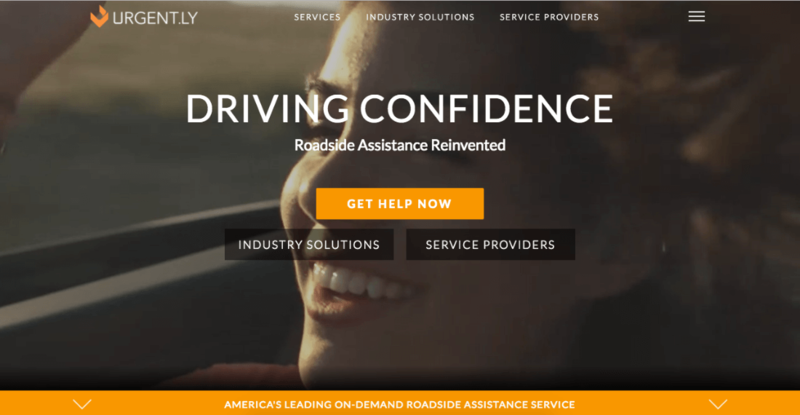 Urgent.ly was founded in May 2013 by Ric Fleisher, Surendra Goel, Lokesh Kumar, Rick Robinson, Luke Kathol and Chris Spanos — many of whom experienced firsthand the frustrations of vehicle issues and poor roadside assistance. In the past, stranded drivers had to call their roadside or insurance companies, wait on hold, and perhaps even get transferred between different operators. While a tow truck was being beckoned, the driver was often left in the dark. “In an age where almost everything is accessible on-demand and you can summon everything from a car to a pizza on your phone and then watch as it arrives, it only makes sense that you ought to be able to do the same with roadside assistance,” Day said. Transparency is key, she said, adding that no membership requirement or annual fees are part of the service. Users pay for whatever services they need. Required payments and costly memberships through services like AAA don’t make sense when drivers only use the service once in five years. Smartphones have aided this process. But the company offers more than just a jumpstart when your battery dies. Customer protection features like accident detection and FamilyView allow loved ones to monitor situations through roadside tracking via Zendrive technology. The Urgent.ly app’s accident detection feature has the ability to determine when a user has been in an accident when traveling more than 30 miles per hour. Users can even specify emergency contacts, who receive automatic texts when the app is being utilized, with the app asking users if they need immediate assistance. FamilyView helps provide relief, as “parent accounts” provide real-time notifications for visibility, arrival times and even paying for services remotely via credit cards on file. “FamilyView allows friends and family members to ‘be there’ for those they care about in their times of need, even when they can’t physically be there,” she said. The app lets users refer friends with a unique promo code, while newly-referred members and those that referred them will automatically earn points that can later be converted into discounts. Increasing the customer base and continuing improvements on roadside assistance for consumers, service providers and industry partners is part of the future model. “We’re looking forward to gaining more partners and increasing awareness of Urgent.ly, which will increase our capacity to build innovative technology,” she said.